The Wharton Club of New York has established the WIRE (Wharton Club of New York Investment Resource Exchange) to provide a comprehensive and effective capital resources clearinghouse for Wharton Entrepreneurs and Investors. The committee consists of four different groups of interest, The Wharton Alumni Business Plan Competition (WBPC), The WCNY Venture Capital/Private Equity network and WCNY Special Investment Situations. The competition is open to teams with at least one member who is a member of the WCNY. The inaugural WBPC was held in the Spring of 2009 with the winner selected from 27 entrants. The winners of the 2nd annual WBPC will be announced in April 2010. The Wharton Investment Network (WIN) is an engagement-focused organization within the Wharton Club of New York (WCNY). 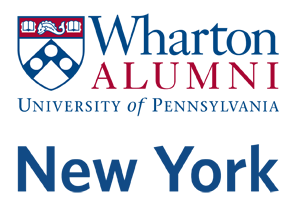 The Wharton Investment Network (WIN) exists to facilitate alumni engagement, life-long learning, and impact funding between Wharton-affiliated Private Equity and late stage Venture Capital professionals and Wharton-affiliated companies seeking networking opportunities, sharing and learning platforms, and capital by hosting investment forums on a periodic basis. The goal is to provide alumni with access to others in private equity, founders, and companies seeking later stage capital. WIN is inviting alumni that are beyond the start-up phase, entrepreneurs and venture capital/private equity investment professionals and others looking to make a career change into this exciting field to participate in this group. The WCNY Special Investment Situations (WSIS) will focus on transactions that are distressed or in need of turnaround management, companies looking for and investors looking to provide mezzanine debt or any other transaction falling outside the other areas. We are obviously very excited to provide the Wharton Alumni community with a unique opportunity where investors and capital seekers can come together on a single platform. We are continuously looking for WCNY members who have an interest in becoming actively involved in the organizations, either as a volunteer, investor (angel or institutional), entrepreneur, and otherwise. If you are interested, please look for the link on the WCNY website or email WIN@whartonny.com. Please note the sub-group and the type of role you are interested in - investor, volunteer, or you are seeking funding. We believe the WIRE will become a pre-eminent source of deal flow and we look forward to the Wharton community's support in creating a world class group.